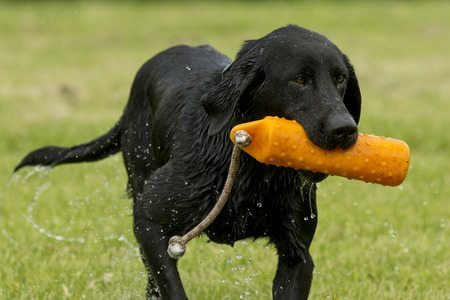 If you are new to dog training, especially training a gun dog, then you may find yourself feeling let down when your pooch doesn’t follow the commands you took so long to teach him. However, before you blame the dog, you may have to look back at your training methods. Sometimes it is not the dog but the way that we teach the dog that could lead it astray. Since you can’t fix the problem until you learn about what you might be doing wrong, we have compiled the five biggest erroneous training techniques that you may be doing that are stifling your dog’s progress. As a new trainer, you may be thinking that longer, more in-depth training sessions are the key to getting through to your dog, but this is a fallacy. Just like people, dogs get tired and lose focus when training sessions go too long. Keep it short with training sessions lasting no longer than five minutes, suggests Ducks Unlimited, and you will often find more success than hour-long trainings. When educating dogs, you often want to take an approach similar to teaching humans. With that in mind, if you start feeding your pup too much knowledge too early, it can sometimes result in them becoming confused. A dog can start training after six months of age, but experts recommend you wait to take your dog on a live hunt until after they have turned 10 months of age. You may feel the need to bring the dog out early so they can learn by experience, but forcing them into advanced or real-life training prematurely can make them less confident and shake the skills you’ve already taken time to help them learn. It is no secret that dogs like to swim, fetch and play, but enabling them to do these activities at their leisure is a bad habit for a hunting dog. While establishing training behaviors, dogs need to have a controlled environment and know when swimming and play activities are allowed and when they aren’t. The last thing you want while on the hunt is for your dog to get the sudden urge to take a swim or run after something in a game of chase. This will undoubtedly lead to your dog stirring up wildlife unexpectedly, making a scene and scaring off your potential prey. Bribing the dog to follow orders with treats and rewards may seem like one of the building blocks of training, but if you overdo it, you could end up with an untrained monster on your hands. As you may expect, dogs get used to receiving treats when they follow orders, and if you aren’t careful and use treats sparingly or work to wean them from the reward once the behavior has been trained, they will keep this habit when they are older. This could result in a stubborn or unwilling dog later on, so be sure to use a moderate hand in positive treat reinforcement. If you are excited about having your hunting dog, but you want to get a head start on training, then try one of our started hunting dogs. These dogs have been trained by us here at KT British Labs and have been fully housebroken and trained in all the basic retriever skills needed to be successful hunting dogs. They have worked with real birds and live hunts, and are ready to perform in the field for you. To learn more about started dogs or to inquire about upcoming puppy availability, call us today at 218-685-5103.